Home Drug Law UK Stoners and Ravers already have the know-how to beat the new UK Drug Driving tests. So you may have heard in the news recently that the UK government has passed a new law that turns the drug driving laws on its head. Until recently if you were stopped by the police and suspected of drug driving then it was up to the police to prove not that you are stoned, the responsibility was on them to prove that you were actually too stoned to drive safely. New laws introduced that come into power on March 2nd 2015 now says that rather than a sobriety test or the police guessing by looking how red-eyed you maybe to judge your ability to be behind the wheel, they now have the power to demand that you provide a roadside specimen for testing. No! This does not involve having a wee in a jar or anything like that, the new law sees the police carrying a roadside testing kit in the form of a swab which they can analyse at the side of the road. Test negative then it’s on your way son! But if you have had a sneaky woogy or spliff or been partying in the last few days you will more than likely find yourself on the way to the local nick to provide a blood test. The levels of illegal drugs allowed to be in your blood are very low but more importantly the police no longer have to prove you are stoned at all, all they have to show is that you have the substances in your blood, that’s enough to see you up the pooh creek without a paddle, potentially landing you a 12 month ban, a five grand fine and with a criminal record that will be hard to explain to your current or future boss. To many people who drive whilst stoned out of their tree or high as a kite on cocaine or ecstasy this course of action is correct, if you want to party or have a smoke then get a taxi but what about 3 or 4 days after the weekend when you get stopped, you are obviously not going to be under the influence of any drugs 3 or 4 days later but you could still quite possibly be over the new zero tolerance limit which is ridiculous. If you are not high or stoned and you’re not impaired then what’s the issue? Well it’s going to be in the news a lot as these cases come to court so we will find out. 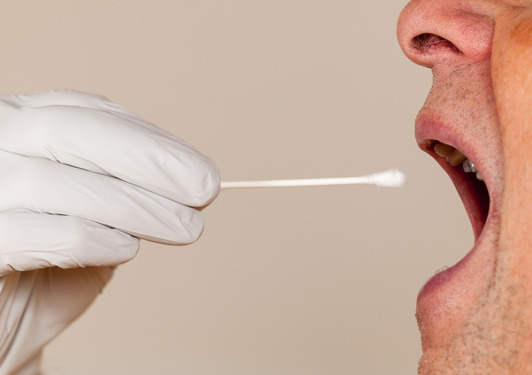 Ok so before you call your mate Dave and tell him you no longer need his drug dealing services as you are totally quitting everything you have ever enjoyed, don’t call him just yet as we have had a closer look at the swab test procedure that has been going on for many years in other countries to see what, if anything can be done to beat the test. Please be aware that we do not condone driving whilst using any illegal substances and this is simply a collection of information we have gathered by browsing the net, and its a tongue in cheek look at another oppressive law that’s forced upon us. Brushing your teeth and using mouth wash prior to the test, not sure how you would pull this off whilst the feds are behind you but apparently it works. You can even buy a specially formulated version of mouth wash to help bust the test. Sucking on a lemon or orange. Rinsing your mouth with diluted bleach!?! Eating a raw onion or garlic clove. Okay so we made up 8,9 and 10 but the lengths some people will go to just to beat this test are a little crazy. From all of the above the mouth wash or certain mints probably stands the best chance of success but to be totally honest and joking aside, the best way to beat the test is to not take drugs in the first place. Many retailers in the States are already cashing in selling purpose made mouth wash for Stoners and Ravers to use prior to any tests but according some reasearch we did on the forums a good quality mouth wash such as listerine will suffice but just in case you feel the need for some see the link below. So we decided to do our own tests. I recently purchased a swab testing kit and was assured by the pharmaceutical company that this test measured lower than the one the authorities use. So i smoked a spliff then did the swab test, I failed miserably. I then rinsed my mouth with corsodyl mouthwash and waited 15 minutes, did the test again and passed an hour later i tested again and passed so it lasts for a hour at least. corsodyl is about 8 pounds in the shops and is well worth the money for this process.